What inspired the name Nineteen27 S’mores? In the Spring of 1927 the Girl Scouts sent out a “Tramping & Trailing” newsletter with the first recorded recipe for s’mores! Oh Girl Scouts, you & all your delicious treats. We do believe they deserve a big ol’ round of applause. We do! We make all of our grahams, marshmallows, and sauces from scratch at a commissary kitchen in Portland, Oregon. It’s quite the labor of love, but we are committed to providing fresh, flavorful products using local ingredients whenever possible! Obviously, toppings such as Reeses Cups or Nutella are not of our own making. Our goal is to always have your package in the hands of the USPS within 3 days of your order. Shipping times with the USPS vary slightly, but are usually 1-3 days. If you are unsure whether you’ll get your package in time for it’s intended use, give us a call & we will try to make it happen for you! At this moment we do not offer our own vegan options, although we hope to do so in the very near future. 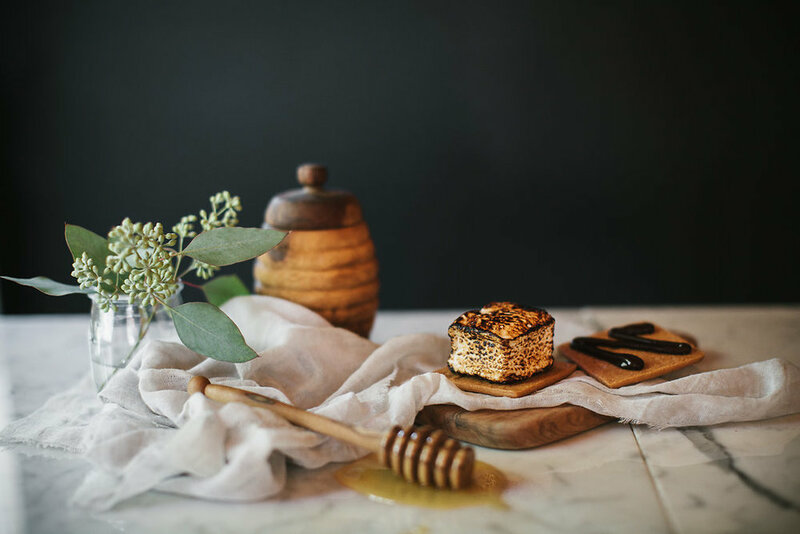 If you need vegan s’mores for a few at your upcoming event, don’t worry, we have some trusted brands that are the source of awesome vegan goods. What type of gelatin is used? Do you have gluten free grahams? We do! And we are happy to supply them to our guests upon request. Are your store items available for wholesale? So glad you asked! Yes, they are available for wholesale when ordered in bulk. Contact us at info@1927smores.com for more details.